Let Royal Carriages Limousine handle all the transportation for your special birthday celebration. 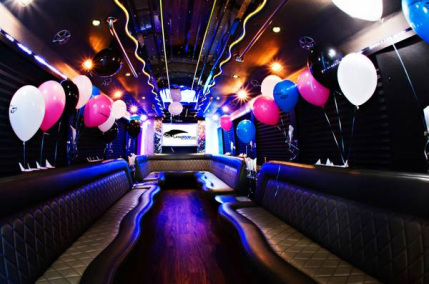 Private birthday party limousine service or limo bus service is the perfect present, or just the perfect way to handle the transportation as you celebrate your birthday. Royal Carriages Limousine can take you wherever you want to go in the Greater Houston Metropolitan Area for your birthday party. Whether you’re planning a surprise birthday party, a birthday lunch, or a birthday dinner to remember, Royal Carriages Limousine can makes your next birthday event an unforgettable one in a luxury limousine, Party bus service Houston, limo bus, shuttle bus, Excursion stretch limousine, Cadillac Escalade stretch limousine or any other selection you made from our luxury fleet! Let us pick you up anywhere in the Hummer Limousine Houston Area in one of our many stretch limousines or luxury limo buses, limo buses or an intimate luxury Mercedes sedan or town car sedan for two for your birthday party. Your luxury limousine service can take you to the restaurant of your choice, where your chauffeur will have your stretch limousine ready when you step out the door for your birthday. From there on, your options are limited only by your imagination. We can take you to bars, clubs, and lounges or to that special spot where you want to celebrate your birthday with a loved one or even a group of friends, or anywhere you direct us. It’s your birthday, your limousine service for the evening, and your wish is our command!